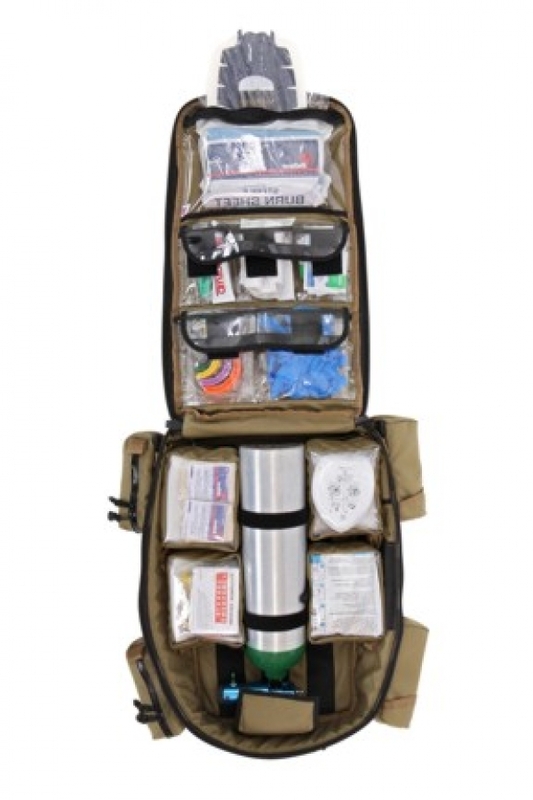 A true tactical medic rescue backpack with a wide variety of uses and the ability to transform to multiple configurations for maximum flexibility. 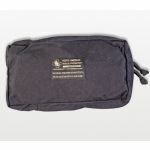 Main compartment is fully padded with closed cell foam for protection. 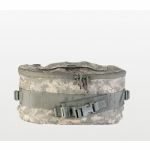 All internal pockets are held in place by Velcro and are removeable. 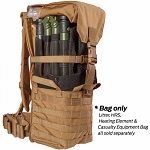 The front and sides of the pack are equipped with the PALS (Pouch Attachment Ladder System) a grid of webbing sewn onto the load bearing equipment and corresponds with straps on the attachment. 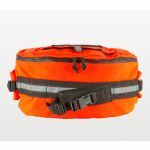 The straps are interwoven between the webbing on each side of the two pieces and snapped into place, making for a very secure fit which can be detached with moderate effort. 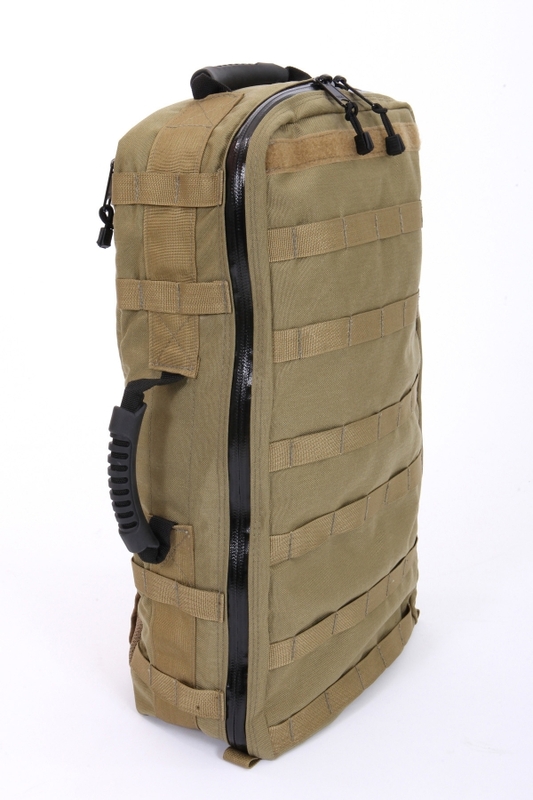 The backpack has a reinforced rubber carrying handle on both the top and side. 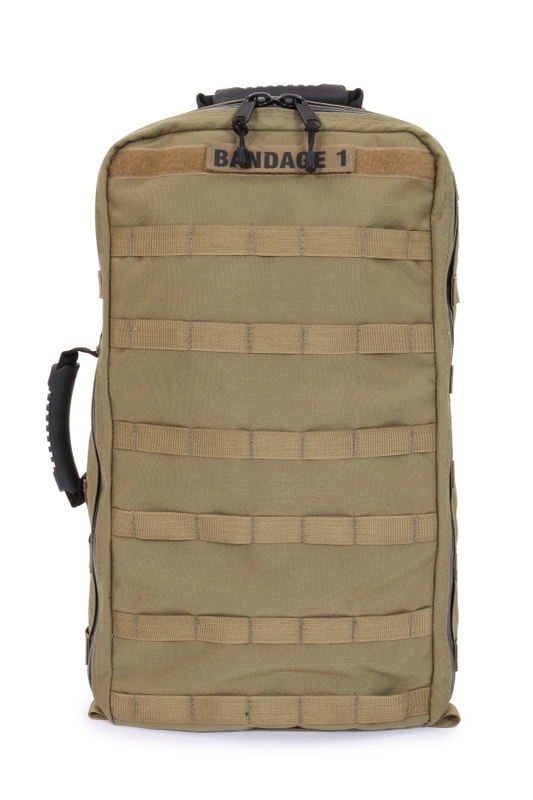 A flase back allows for storage of shoulder straps when not in use. 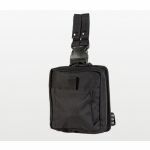 Made of 1000 denier Cordura nylon with #10 YKK heavy duty Aquaguard water repellent zippers with PV coating and pull tab. All seams and stress points are sewn with #69 dacron thread. Will hold a "C" or "D" size oxygen tank or may be rearranged without an oxygen tank. 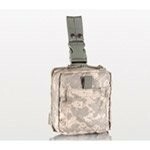 All pockets have a Velcro FlexBadge label system for quick and easy labeling of accessory pouches and main pack. Measures 11"W x 20"H x 6"D. Wt. 60oz. Colors: Black or Coyote Tan.